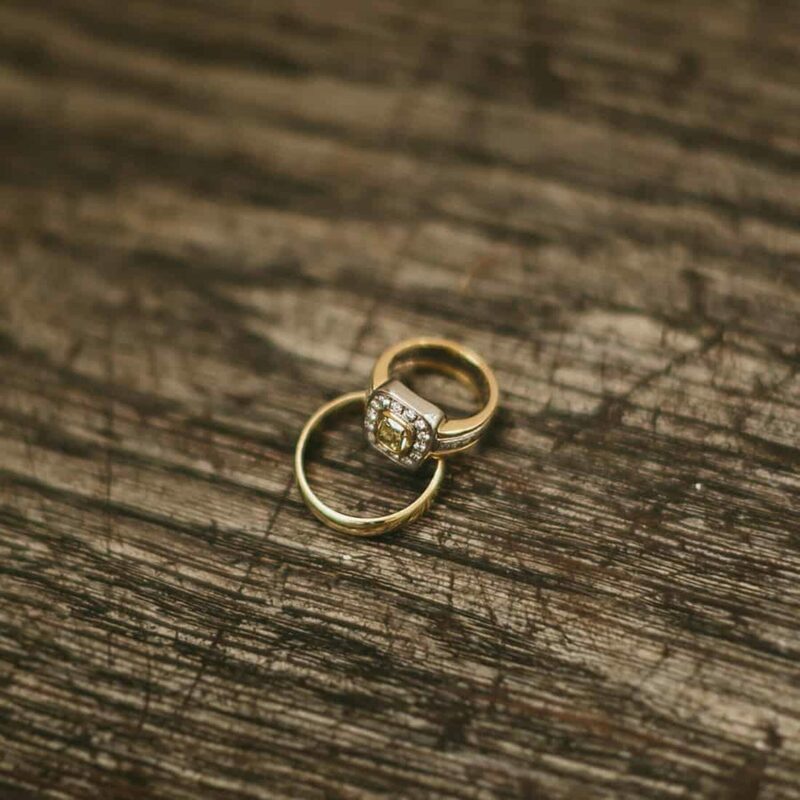 A proposal atop the Empire State Building always gets our hearts a flutter so Grant and Maggie’s romantic tale has us head over heels. 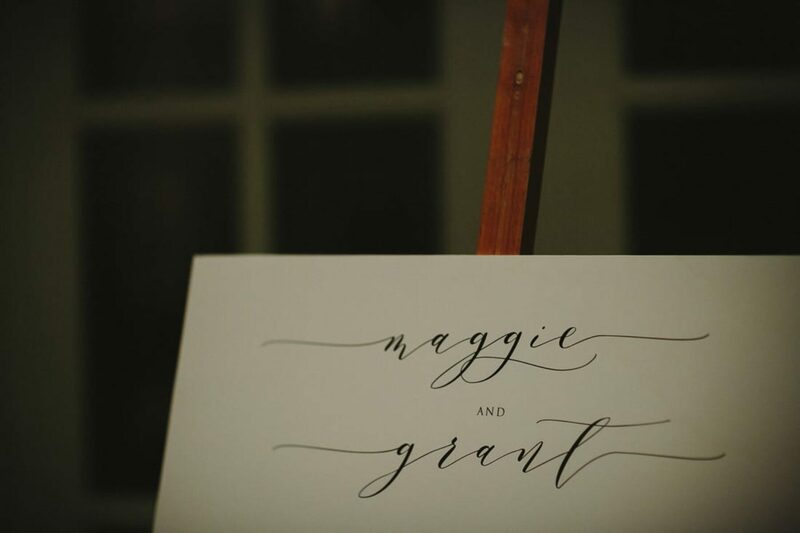 According to Maggie, she was enjoying the view and turned to find Grant down on one knee with a ring! 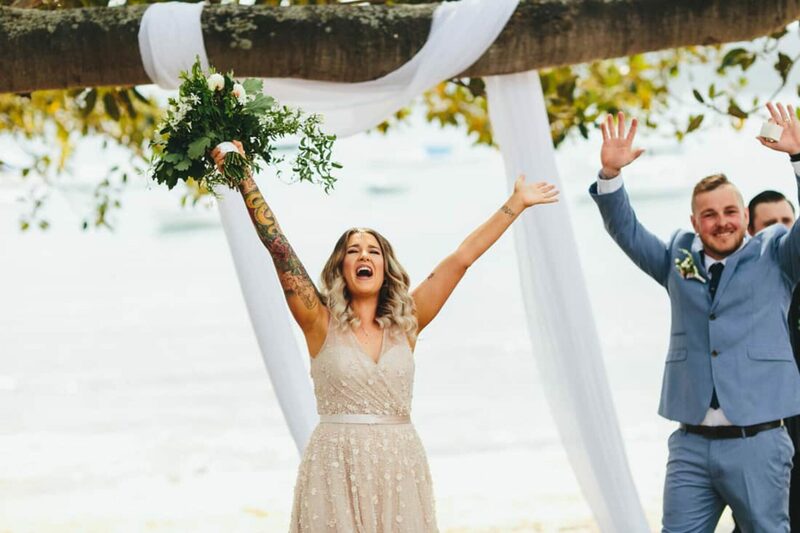 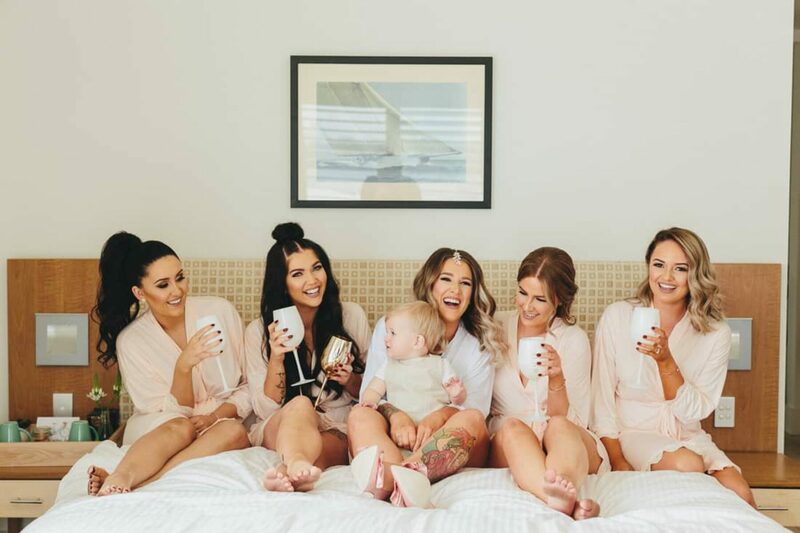 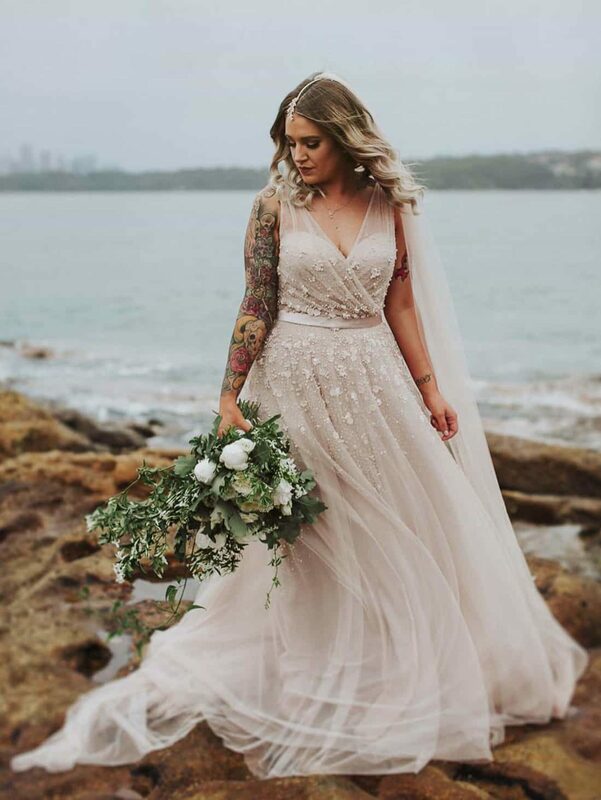 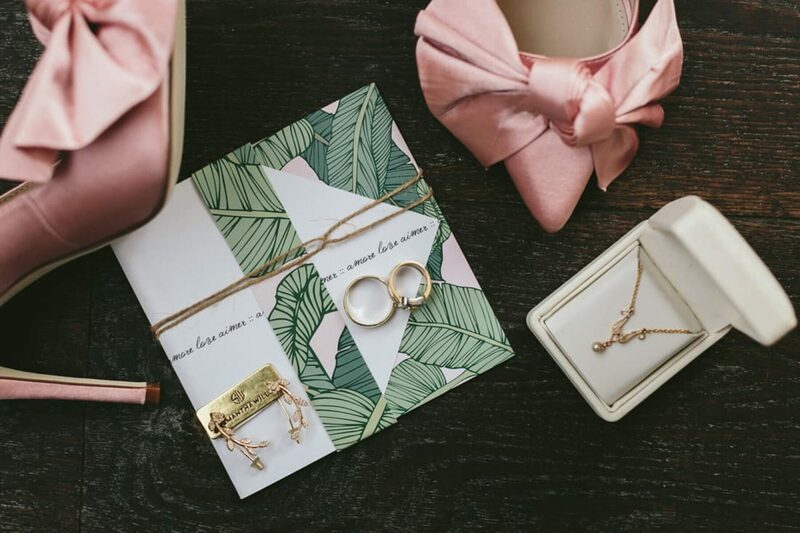 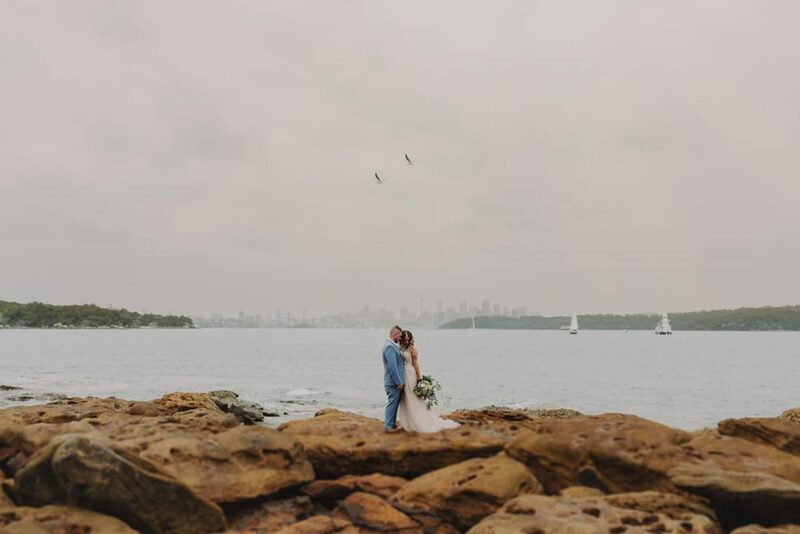 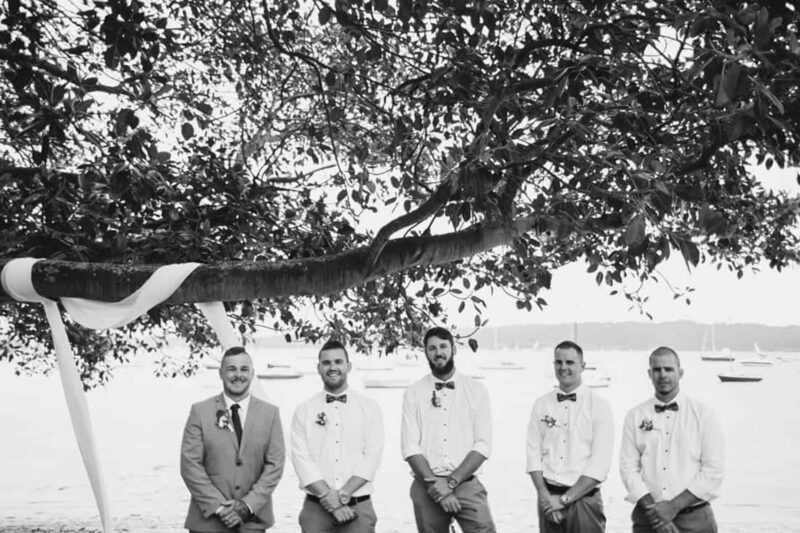 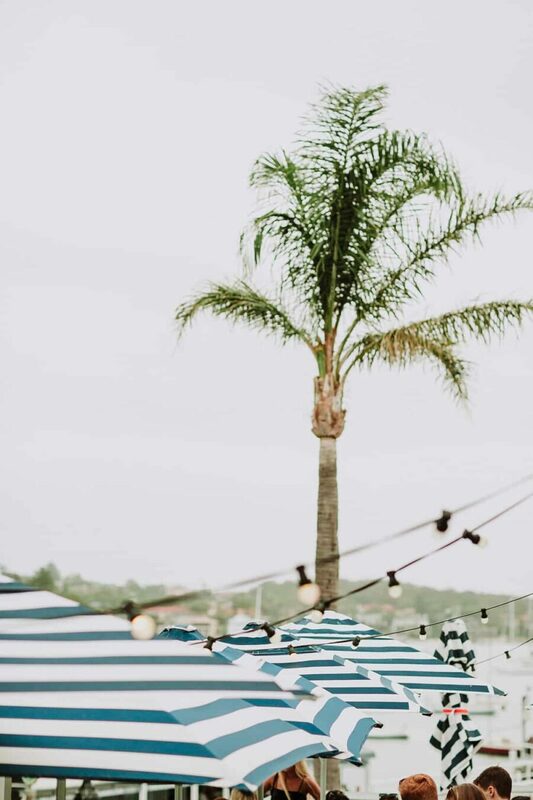 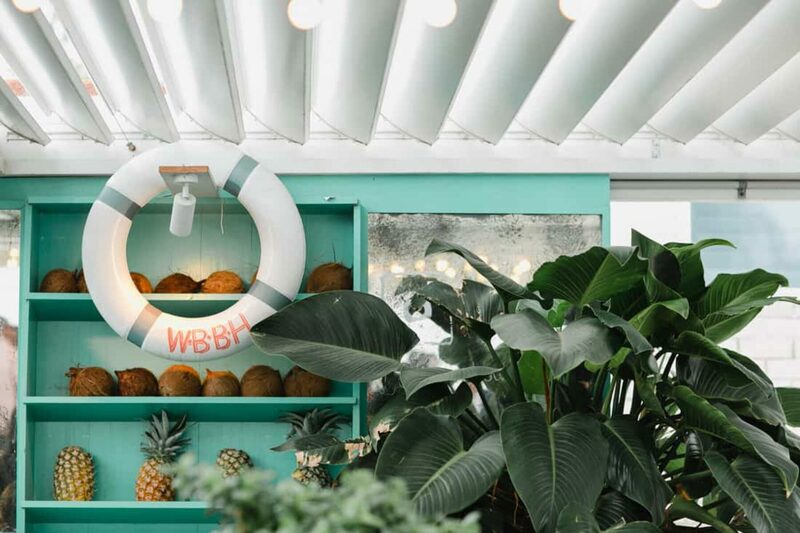 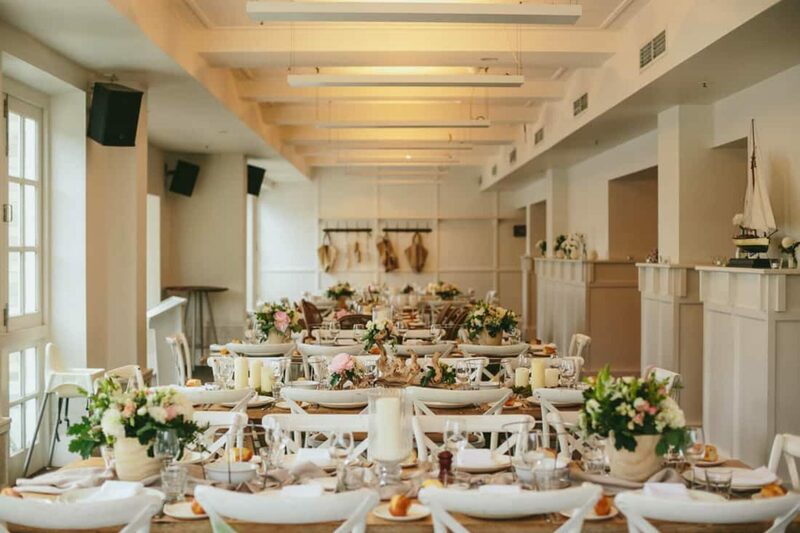 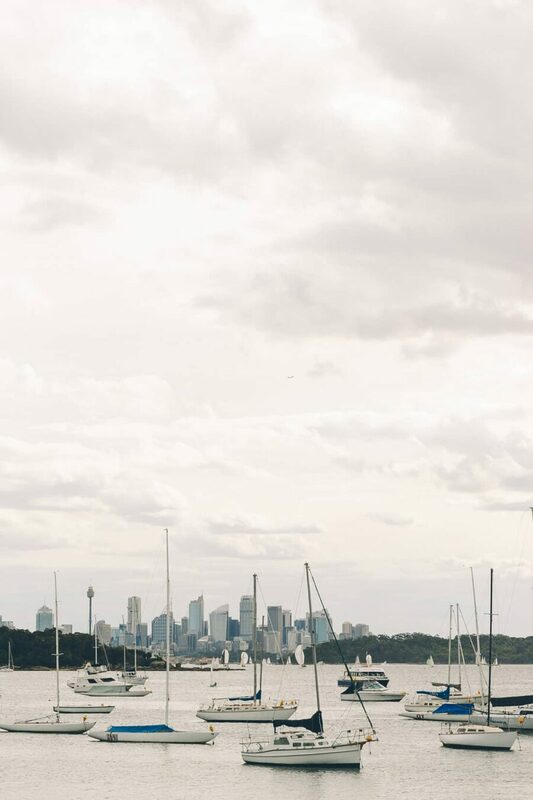 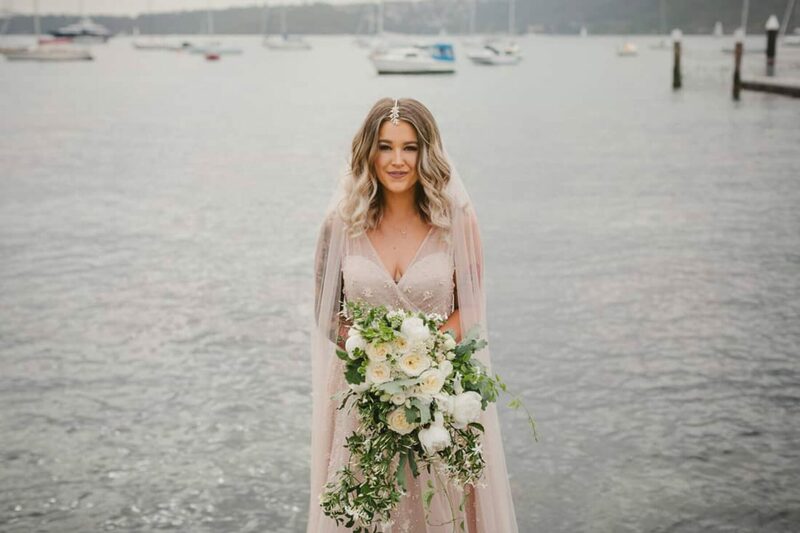 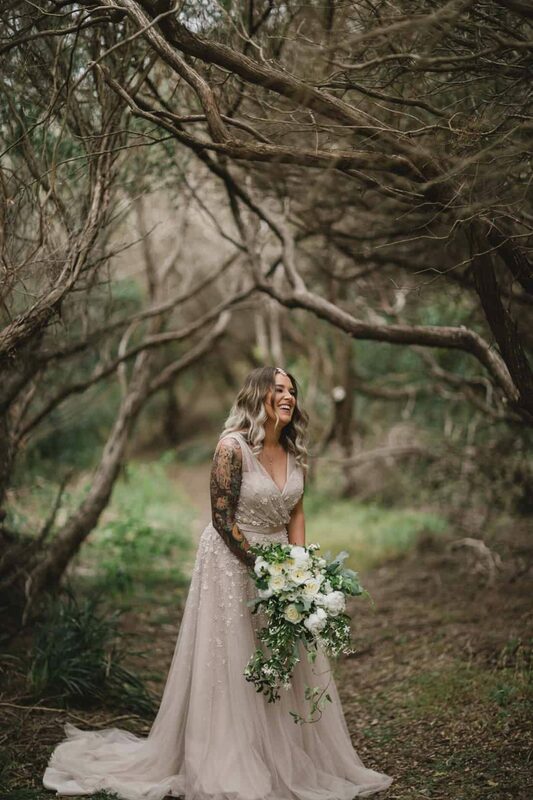 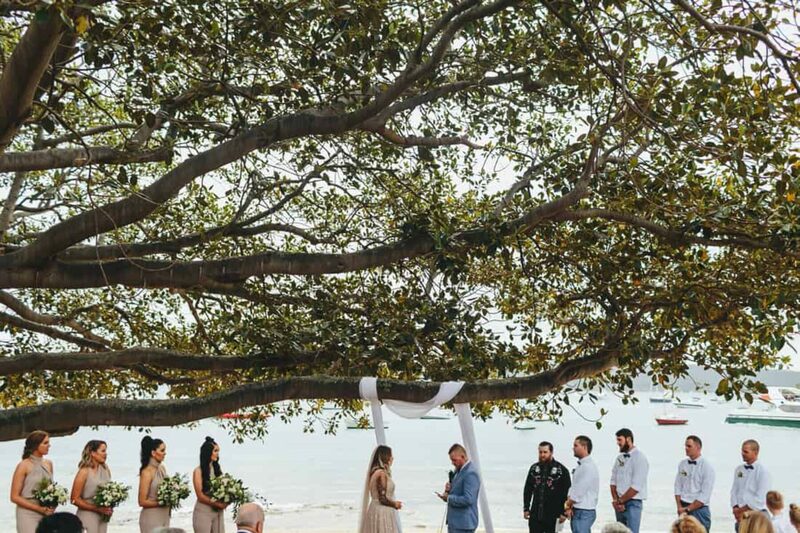 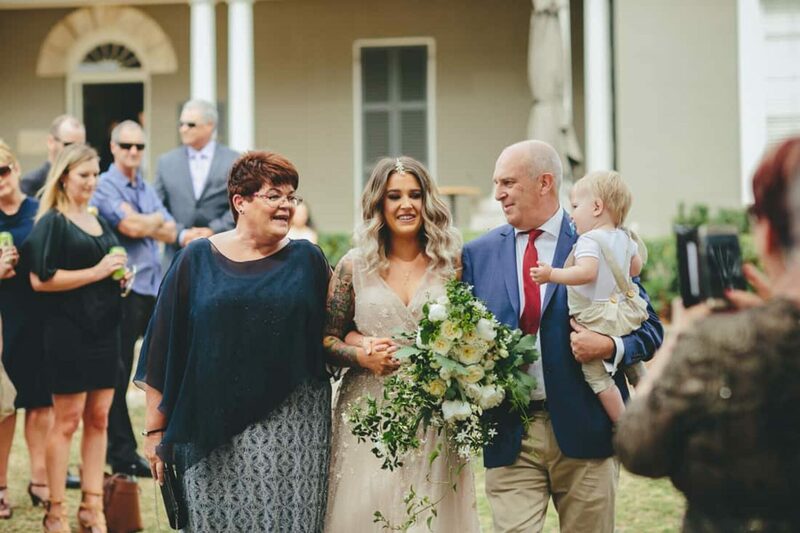 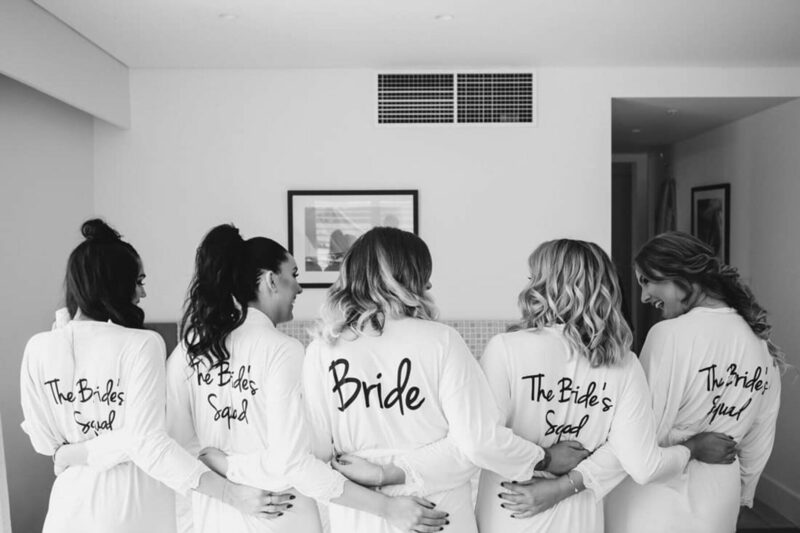 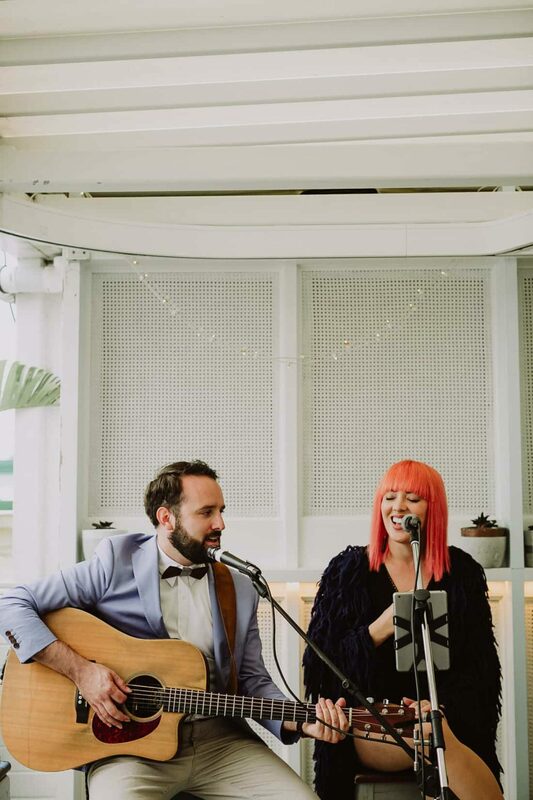 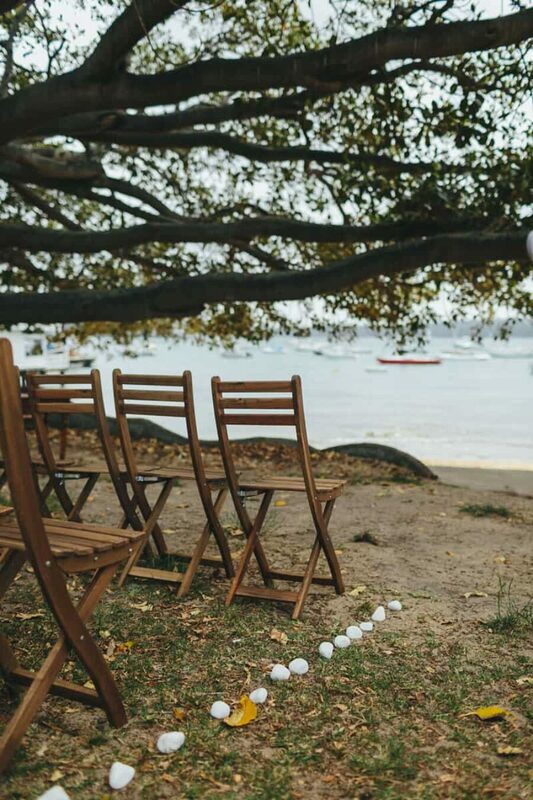 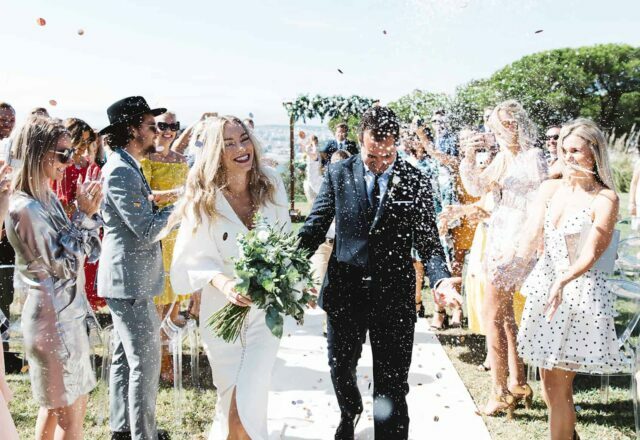 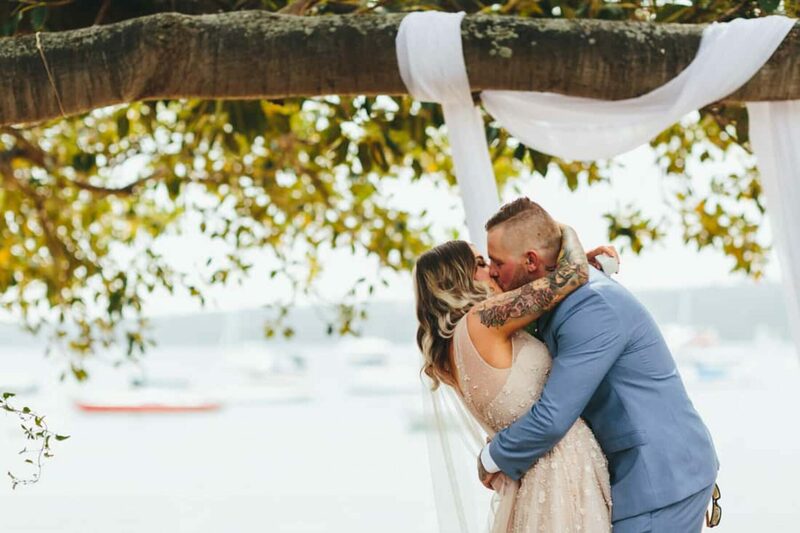 With a backdrop like the Watsons Bay Hotel, Maggie and Grant’s wedding snaps were bound to be beautiful, but with Gui Jorge behind the lens, they were guaranteed an enviable wedding album. 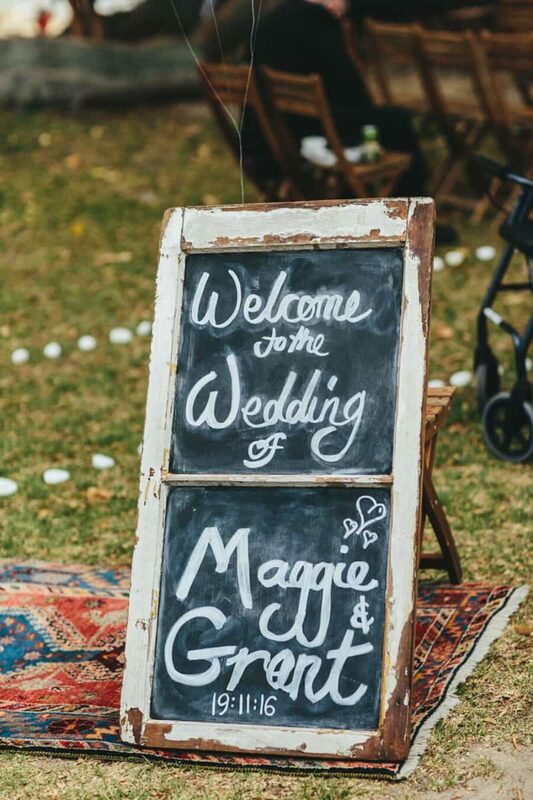 “Gui is seriously the most amazing photographer,” tells Maggie. 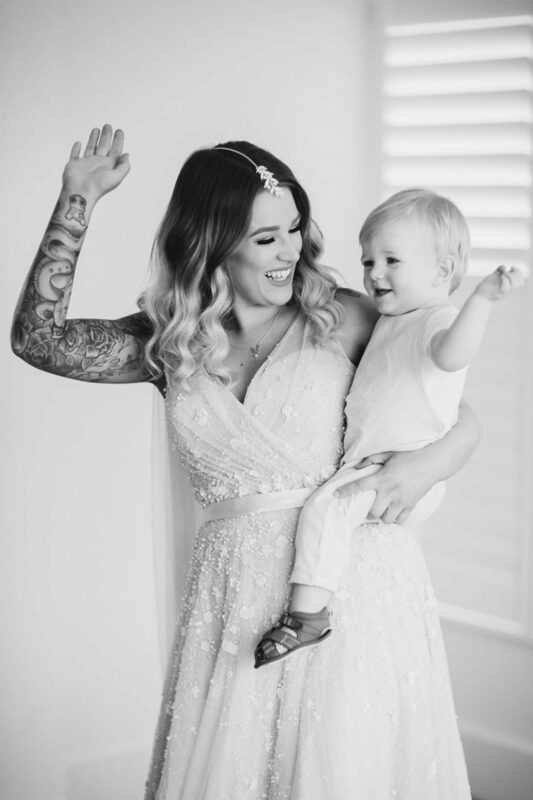 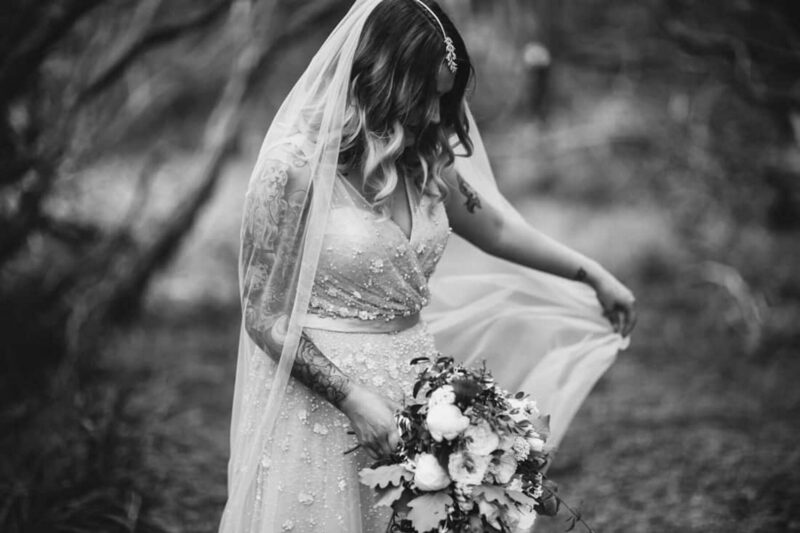 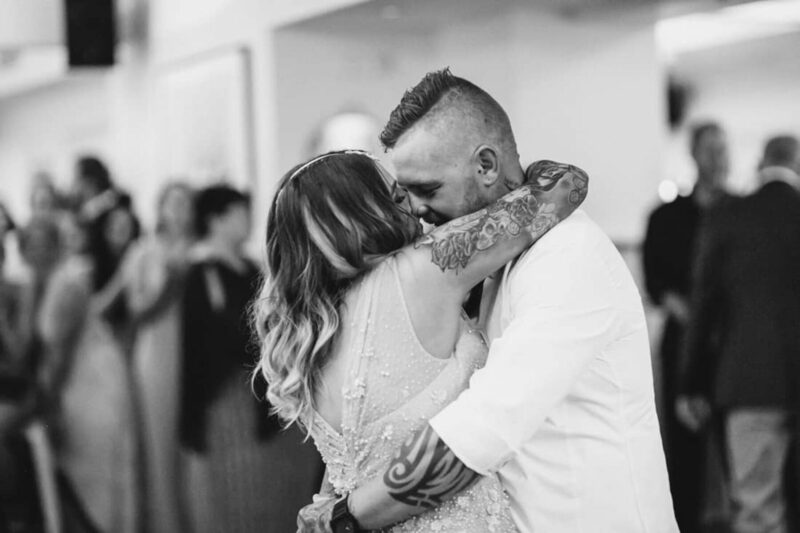 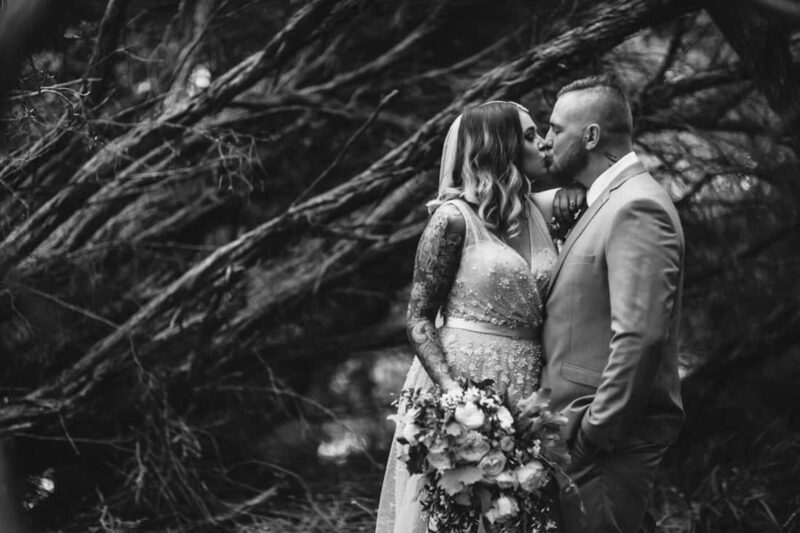 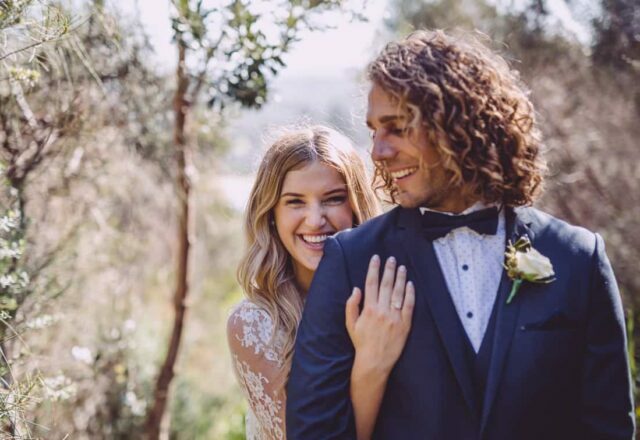 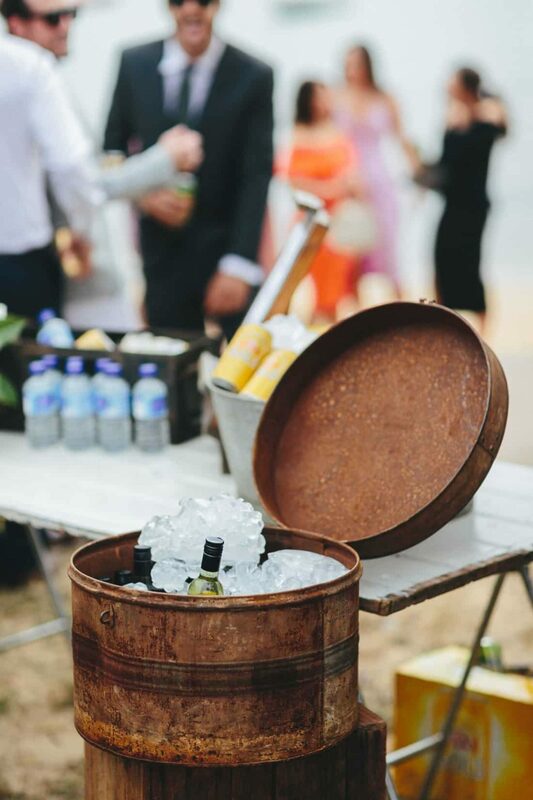 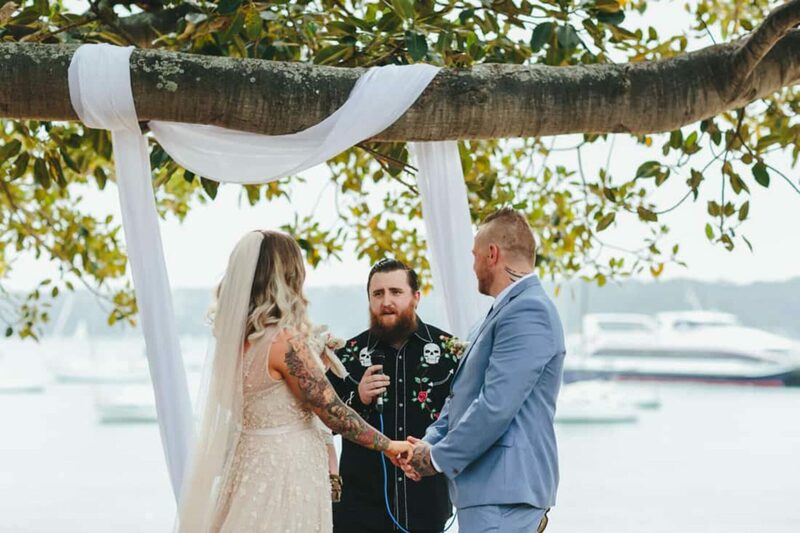 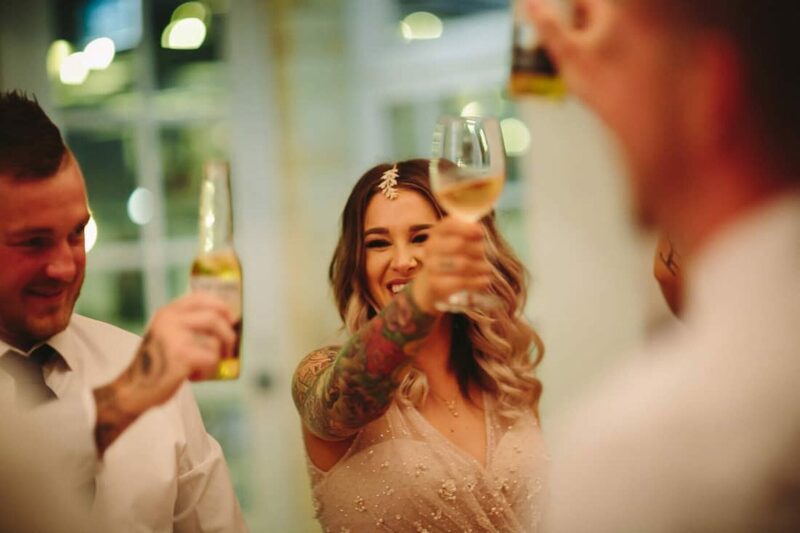 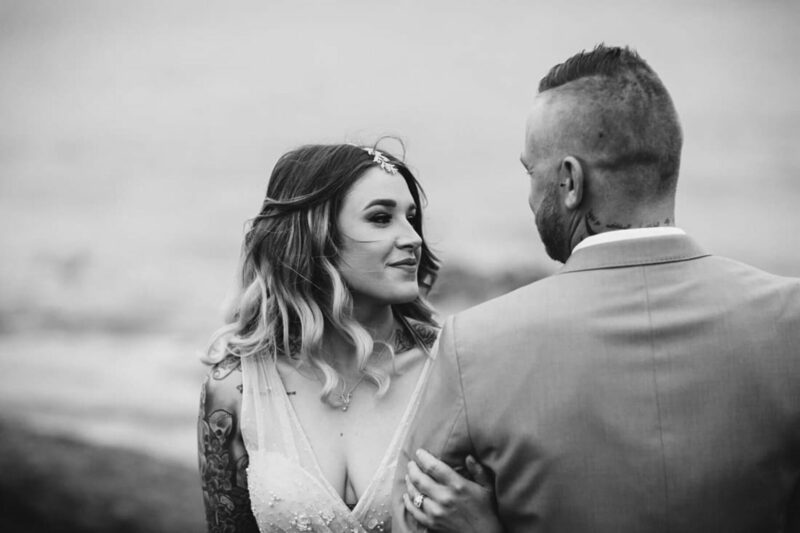 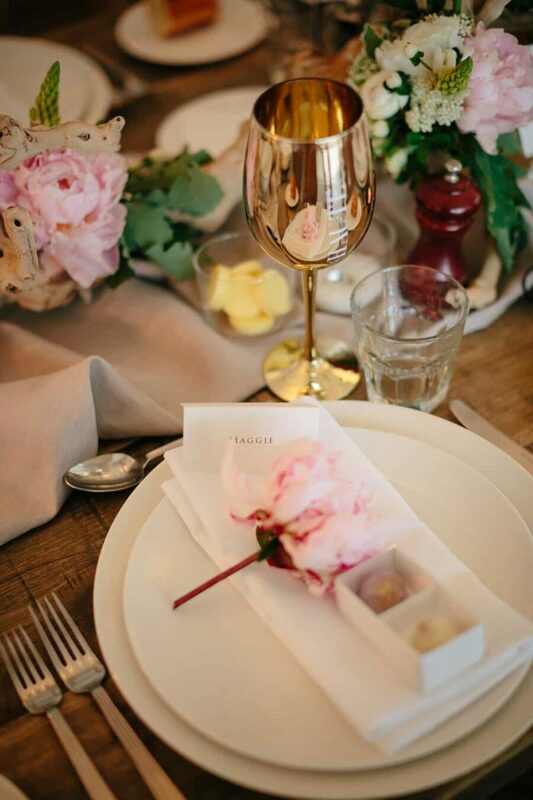 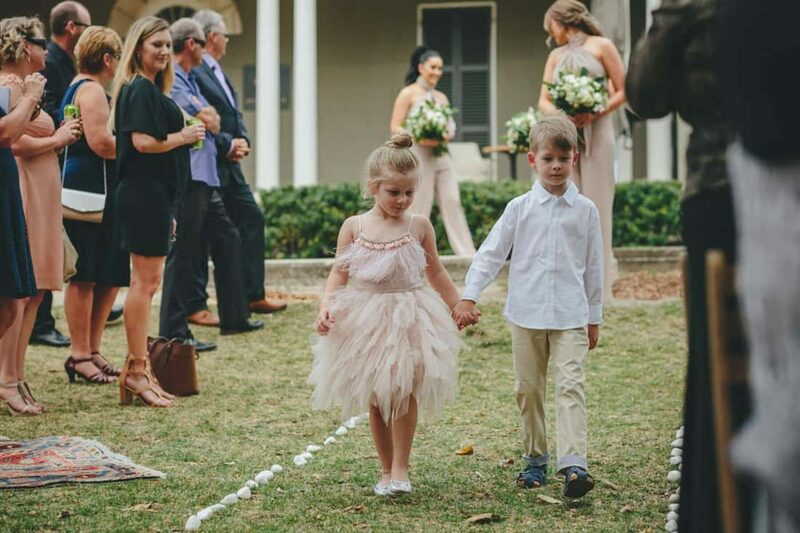 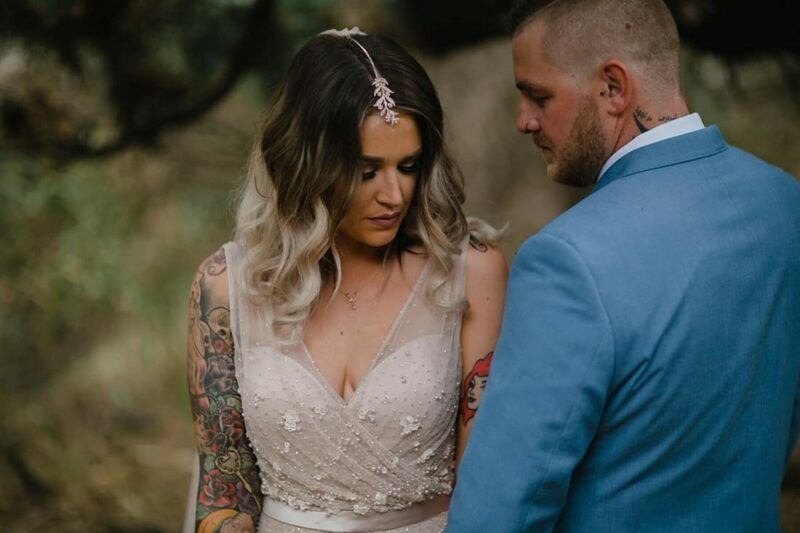 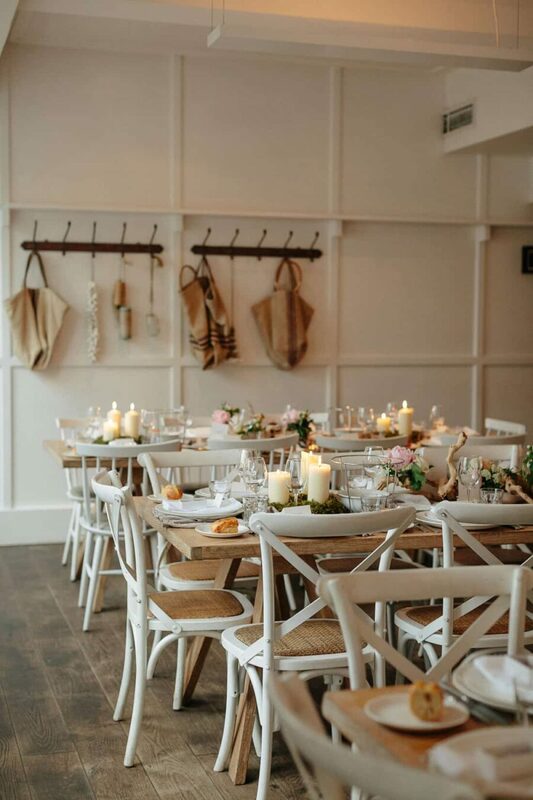 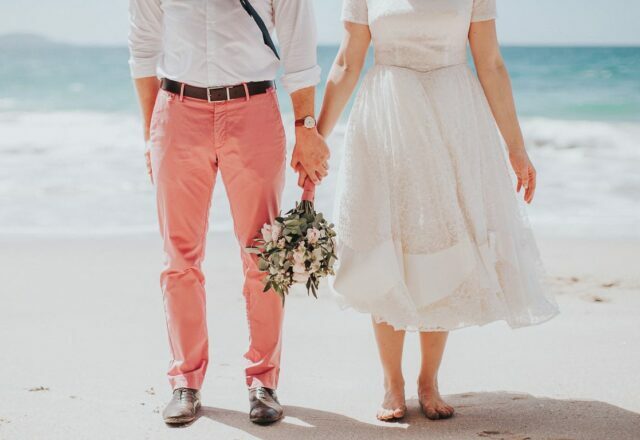 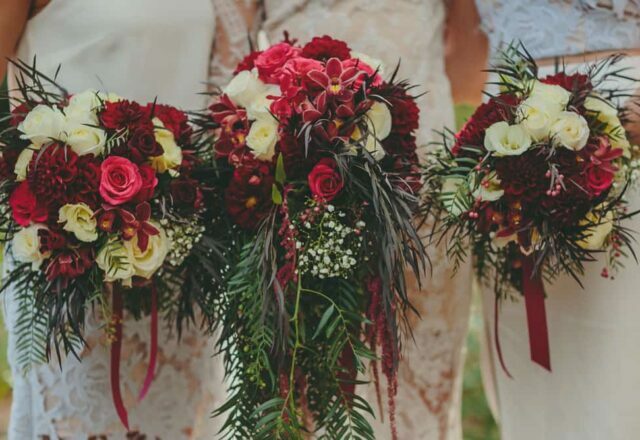 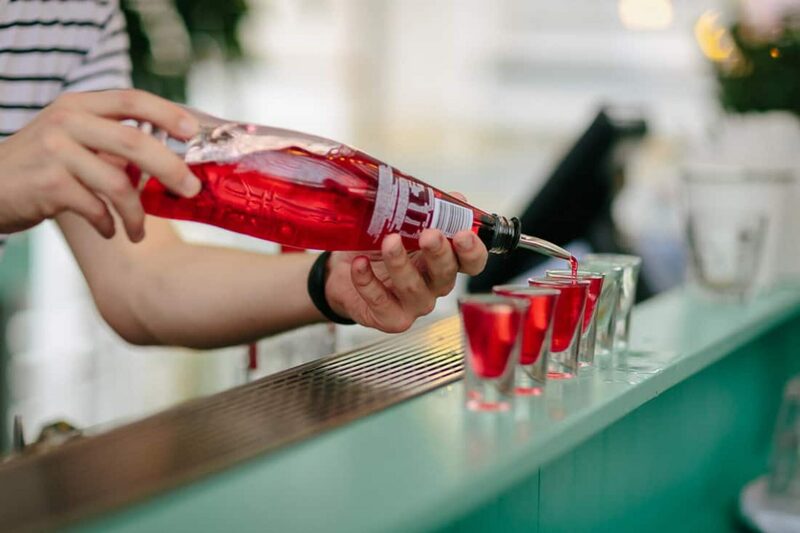 “He made everything run smoothly and made us all feel so comfortable, His laid back approach was the perfect addition to our wedding and I could just go on forever about how amazing he is!” No need to tell us twice, he’s a fave of ours too! 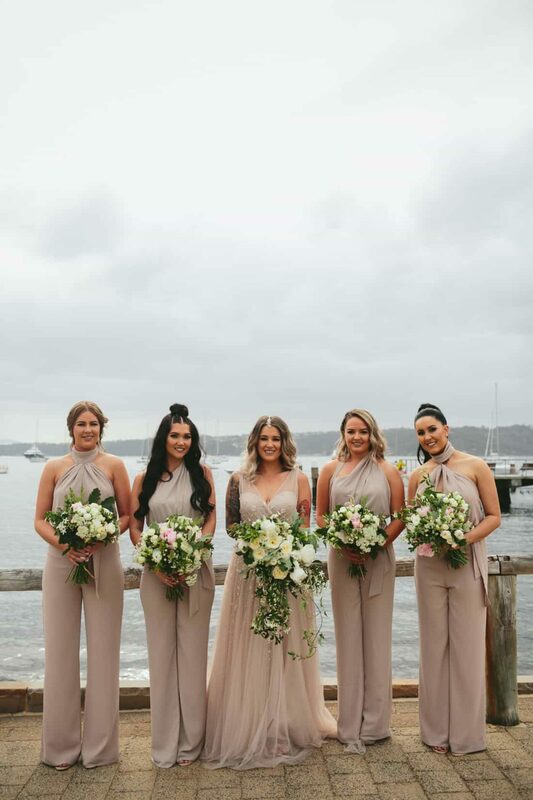 Misha Collection jumpsuits made from an unconventional, albeit comfy outfit for Maggie’s bridesmaids - all the better to dance in we say! 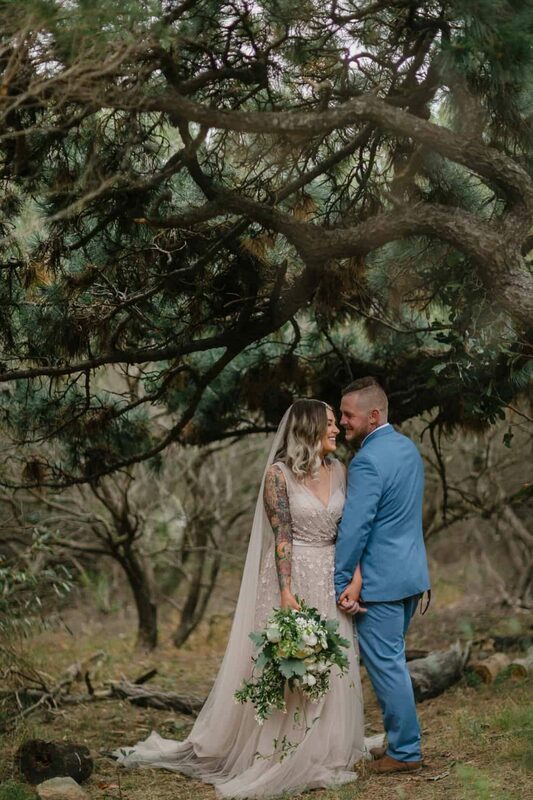 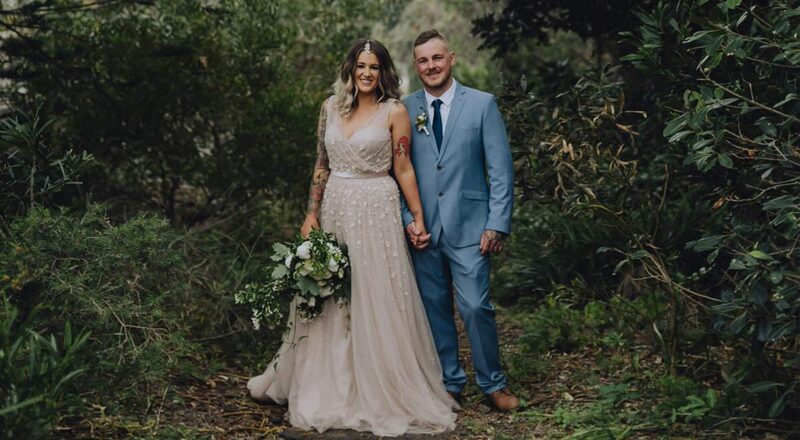 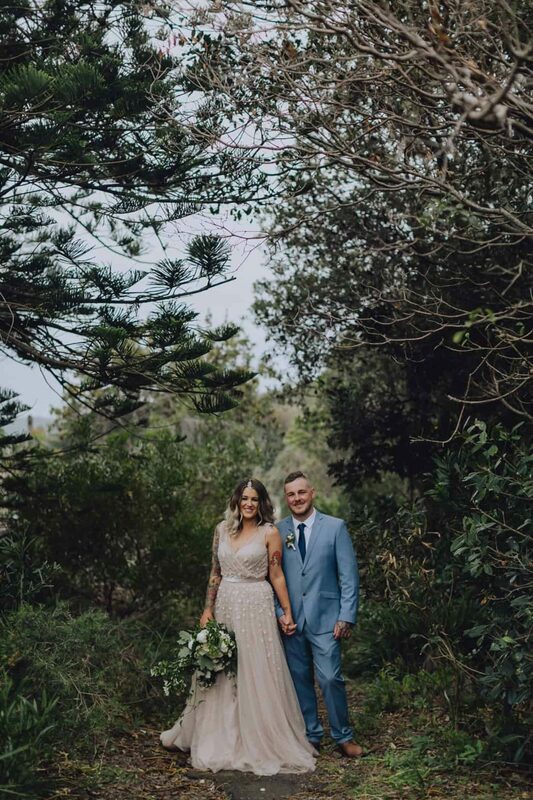 Next to Maggie's boho blush gown by Wendy Makin, Grant looked smashing in a blue-grey suit from Connor Clothing and his tatts made quite the statement accessory. 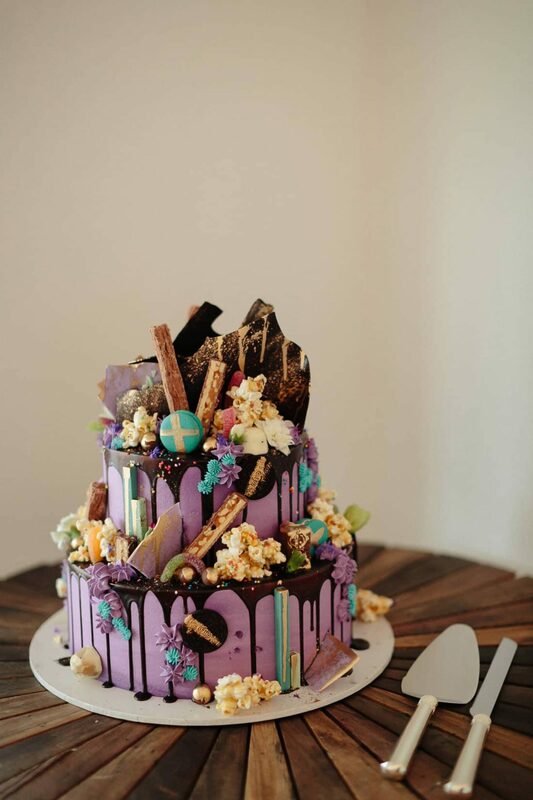 We're always in awe of the delightfully OTT creations by Sydney caker Unbirthday Cake, and this 2-tier purple Hero Cake is no exception! 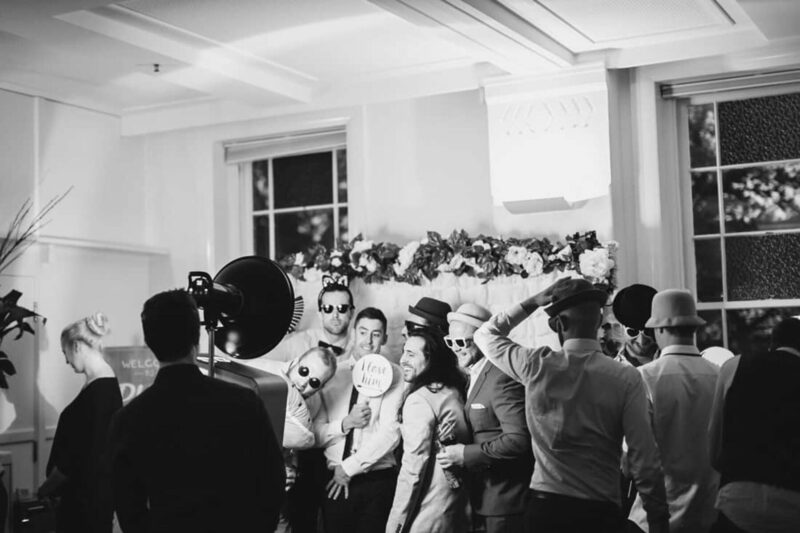 A fun photo booth from Photo Corner kept everyone entertained and Maggie tells us "every single person got involved and had their photos taken. 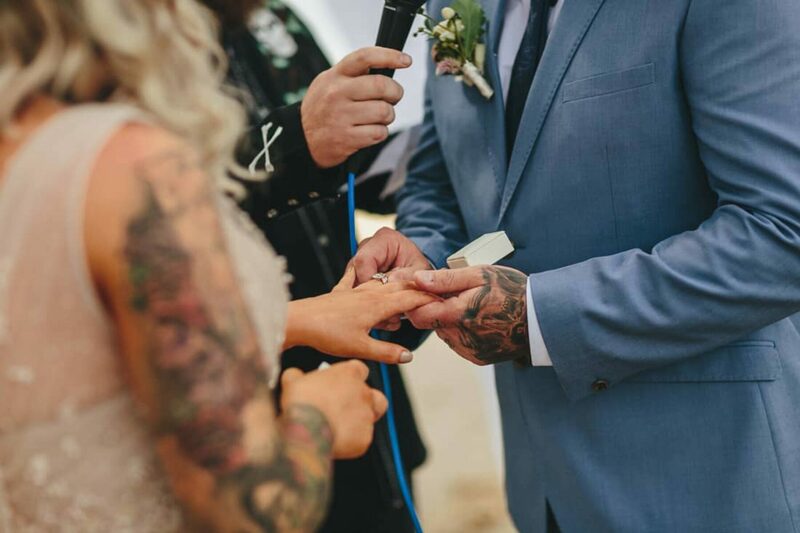 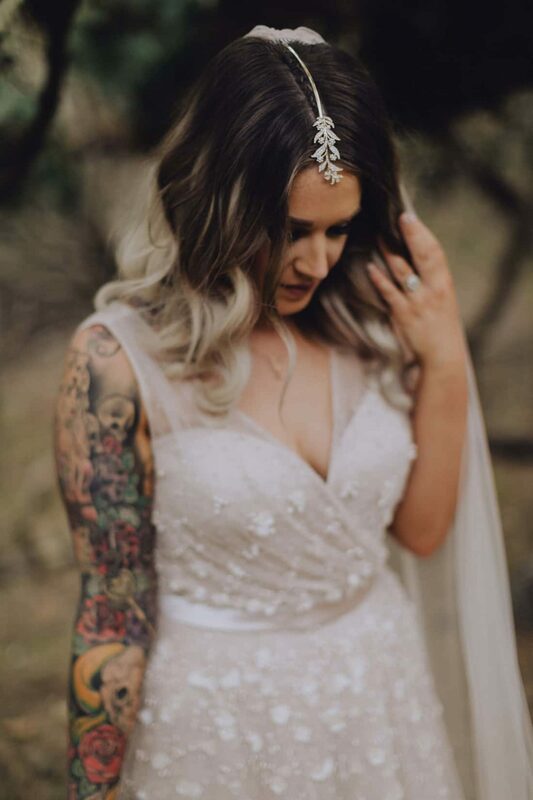 It was sooo much fun and a last minute decision that we couldn’t of been happier with!"